This charm gives you the chance to say that 4 letter word! 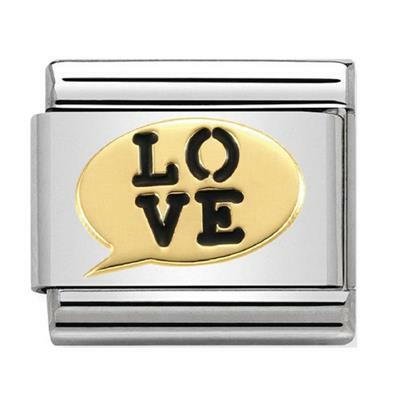 An 18ct gold speech bubble that has the enamel word LOVE. This design is mounted onto a classic sized stainless steel Nomination link.